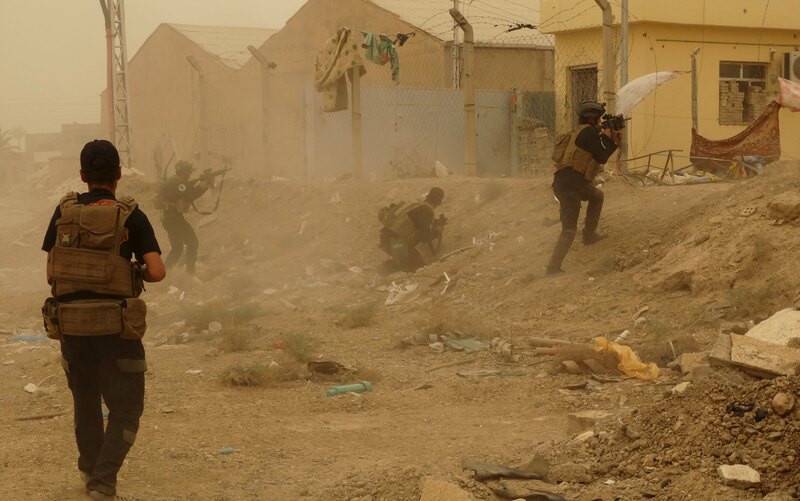 What does the fall of Ramadi mean for the battle against ISIS? The Islamic State of Iraq and Syria's (ISIS) capture of the city of Ramadi last weekend raises fresh questions about the U.S. strategy for preventing the jihadist group from taking further territory in the region. Ramadi was both symbolically important as the capital of the Anbar province and strategically important because of its location just 70 miles west of Baghdad. "It's significant because the march toward greater control of territory in western Iraq seems stalled if not moving in reverse," said CBS News Senior National Security Analyst Juan Zarate. "It raises serious questions about the viability of the current strategy to rely on Iraqi forces to retake areas in Iraq, to push back ISIS' advance. That's leading to great debates in Washington as well as in Baghdad as to whether or not the strategy is even viable now." While President Obama has gathered his national security advisers to talk about next steps in the fight against ISIS, Zarate said there are not many good options for the U.S. The American military must rely heavily on proxy forces on the ground. The Iraqi Army will have to decide whether to allow Shia militias and groups to move into Sunni-dominated territories - which could help drive out ISIS - but it could also create greater sectarian strife that leads to longer-term instability in Iraq. The U.S. must consider whether it can give more arms and aid to the Sons of Iraq, a group of tribes that have allied with American forces in the past. But it will also have to ask whether the U.S. or its allies need more of a presence on the ground as opposed to the current tactic of providing only air support and military advisers. "This is a long term battle," Zarate said. "We're going to have to be patient to a certain extent, but the reality is the Islamic state is not giving up much territory and if you look at the map, including in Syria, they're actually gaining ground and so this is not going well and the president knows that. Earlier this year, it seemed as if ISIS might be losing ground in the region. Zarate warned that it can be hard to tell who is winning and losing because the battle lines shift every day. Flash Points: Should the U.S. have revealed plans to retake Mosul? "Without the ability to move out the Islamic State forces from these key population centers, without the ability to reinforce local proxies and to gain momentum, we are going to be in this situation where the battle lines are shifting and one day it looks like we're advancing, the next day it looks like we're losing," he said. There are major questions ahead, including how to retake Mosul, the second-largest city in Iraq, and how to best combat the group in Syria where they face very little pressure. "This is a dangerous elixir and the question is do we need to accelerate or quicken our response to the Islamic State?" Zarate said.